It has voted on drafts for standardization and quality control standards. 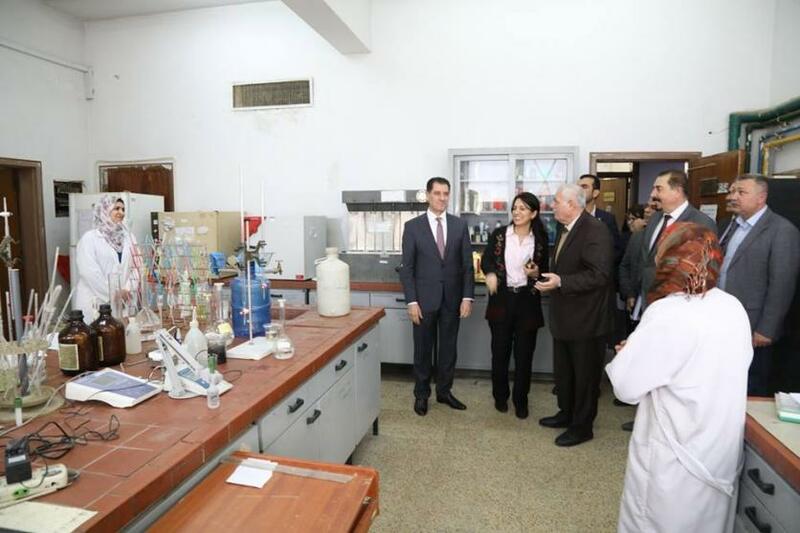 The Department of Quality Control of the Central Agency for Standardization and Quality Control in the Ministry of Planning carried out laboratory tests on the models drawn by the General Authority of Customs for the conduct of laboratory tests in the laboratories of the Agency. The Director General of the Department of Quality Control Ibrahim Nawrouz said that " Models of goods and goods from Iran for testing and evaluation of conformity with the specifications adopted in the laboratories of the Department of Quality Control, so the members of the departments of the Department of Quality Control of their sleeves to complete the examination of these models with pleasure And the required accuracy and to ensure that goods are not accumulated at the border crossings in order to safeguard the public interest and the interests of importers. "Due to the entry into force of international sanctions against the Islamic Republic of Iran, the joint border ports between the two countries have been affected by the suspension of inspection companies contracting with the Central Organization for Standardization and Quality Control (QSA) for pre-screening of goods before supply from the Islamic Republic of Iran. On the other hand, the Textile Industries Department of the Quality Control Department of the Central Agency for Standardization and Quality Control in the Ministry of Planning voted on draft Reference Manual No. 114. The reference manual No. 114 concerning Spinning and Weaving was assigned to change the dimensions of the fabrics at Exposed to free steam by the team formed in the textile industries. In addition, draft resolution No. 1051 of the second modernization of spinning and weaving - woven blankets was also voted on. This draft committee was prepared by the Technical Committee for Spinning and Weaving for the production of imported blankets locally and imported and for the need to install the basic requirements that must be met, This specification was first introduced in 1984 and occurred in 1990 and occurred for the second time this year due to the passage of more than five years on the preparation and the availability of modern sources. The final draft of Reference Manual No. 1107 on Spinning and Weaving was also voted on. Determination of the longitudinal density of the yarns of the woven fabrics. This manual was prepared by the Technical Committee for Spinning and Weaving in order to determine a reference method for determining the longitudinal density of yarns made up of woven fabrics.